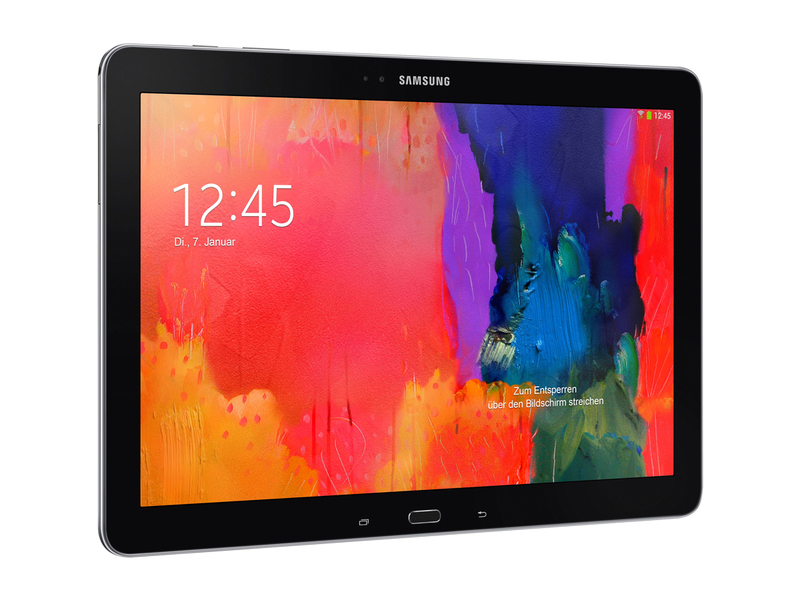 The Galaxy Note Pro 12.2 is designed for the "prosumer" with extensive productivity and multitasking being the focus. It has a stunning 12.2" WQXGA display with plenty of real estate. The Enhanced Multi Window feature splits the screen in four different ways for seamless multitasking. While the LTE model uses a Snapdragon 800, 2.3 GHz Quad-Core, the 3G model features an Exynos 5 Octa-Core (1.9GHz Quad + 1.3GHz Quad). Both models come with 3 GB RAM, a choice of 32 GB or 64 GB depending on the region and the capability to support micro SD up to 64 GB. The device is fitted with an 8 MP rear and a 2 MP front camera. Other hardware features include USB 3.0, Bluetooth 4.0, GPS+GLONASS. The entire setup is powered with a 9500 mAh battery giving it plenty of juice. The LTE model weighs 735 g and the 3G model weighs 750g and comes in two colors, black or white. The S Pen is improved with the hover shortcut function found on all latest Note series devices. Handwriting recognition is also enhanced which makes it a delight to use on such a big screen. The device also introduces a new application called Remote PC. This allows the user to remotely access a PC or Mac directly from the tablet. The Galaxy Note Pro 12.2 runs on Android 4.4.2 (KitKat), is definitely well-built, and will satisfy users looking for a larger screen to work on. 93.88%: Indeed, this rating is very goodl There do not exist many notebook models, which are rated better.